Welcome to a new semester and a new year! UNT continues to grow and change in exciting ways, and our world-class faculty continues to lead the way. 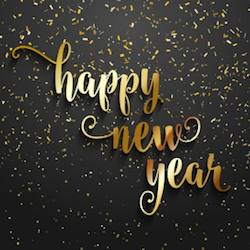 Best wishes for a productive and successful 2018! Dan Krutka, Assistant Professor in the Department of Teacher Education and Administration, joined UNT’s faculty last fall. His work focuses on how educators utilize emerging technologies like social media, podcasts, and more. One of his aims is on bridging the apparent divide between higher education research and practitioners. In his view, research in higher education should influence the work being done by teachers at the K-12 level, and in turn this work should inform research. Many of Professor Krutka’s projects involve the creation of spaces for dialogue, often in the form of social media. These spaces allow students, teachers, and researchers to interact and learn from one another. These “affinity spaces” allow him to meet with, learn from, and help teachers without the constraints of distance and time. 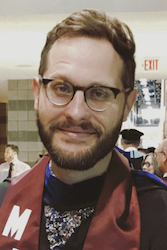 One example of his work in this area is a weekly podcast he created with high school teacher Michael Milton, “Visions of Education.” Episodes typically involve Professor Krutka and Mr. Milton conversing with educators and researchers about what they see as the big ideas in the field. He also works with UNT students to create short instructional videos that complement the lessons his students are learning in the classroom and help them to realize the influence they can have on the field. A recent collaboration with students led to a video on the topic of the philosophy of education that was viewed nearly 20,000 times. Maria Muñiz is Principal Lecturer in the Department of Spanish. She is an enthusiastic volunteer for nearly anything that benefits students. Some years ago, she sought out training in online course development – she was the first to do so in her department. Recognizing that students who had some proficiency in Spanish would be well-served by online courses, she designed several upper-level courses at the undergraduate level. These are often the first courses to fill, and as a result she will be adding new sections and perhaps designing additional online courses. 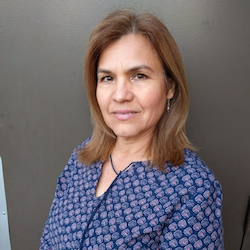 Professor Muñiz is also an enthusiastic believer in the value of study abroad experiences and serves as one of her department’s Study Abroad directors for South America. In her view, study abroad courses provide UNT students with an experience unlike anything that might be found in a traditional course. The courses she designs combine opportunities to practice language skills with unique ways to learn about other cultures. Specifically, these trips have a significant service-learning component. For example, previous trips to Argentina have involved working in local nursing homes and working at a medicine bank in order to help distribute needed medicines to individuals living in urban slums. This summer, she’ll take another group of students to Peru. There, the group will be working in a school helping to create classroom materials for teachers. Professor Muñiz’s passion for UNT goes beyond her enthusiasm for students – she’s also proud that all three of her daughters are or will be UNT alumnae. 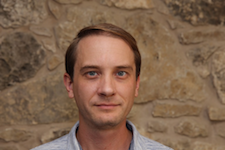 Michael Wise is an Assistant Professor in the Department of History who studies the environmental history of the North American West. Broadly speaking, his intellectual interests center on the history of how both human and nonhuman beings have jointly served as producers of American environmental and geographical knowledge. A particular focus of his current research is the history of American exploration in the nineteenth century. His recently published article in the Southwestern Historical Quarterly, “Seeing Like a Stomach: Food, the Body, and Jeffersonian Exploration in the Near Southwest, 1804-1808,” represents a novel approach to the history of exploration by analyzing how bodily sensations such as hunger and taste shaped the development of American geographical and spatial sciences. As a physical enterprise, exploration shaped environment knowledge in visceral ways that the scientific presumptions of the modern era left unacknowledged. As Professor Wise puts it, “the explorers’ preoccupations with food in their far western travels influenced both their formal reports as well as the unofficial impressions of their friends and superiors back home.” By revisiting the journals of explorers of that era, such as Meriwether Lewis, Professor Wise reveals this often-overlooked preoccupation with food as well as the fact that the explorers’ physical experiences profoundly affected their views of the lands they encountered. An engaged and productive faculty is the beating heart of every successful university. UNT has nearly 1,200 full time faculty members, and it is important for the university to know about their concerns and needs. In the coming semester UNT will be running two distinct and complementary surveys. The Gallup survey is very brief and is repeated each January. Its focus is faculty engagement. A more in-depth second survey, Harvard’s COACHE, will begin in February. This latter focuses on faculty satisfaction and allows benchmarking with peer and aspirant universities. All faculty are urged to complete both surveys. Robust participation will allow for much more effective decision-making. Please be on the lookout for more details in January 2018. Amp Up Your Research With External Funding! External funding helps us carry out our research agendas, and it has many other important benefits for our students and our colleagues. External funding helps the university raise its profile in important ways. This spring we are pleased to announce two complementary workshops aimed at helping scholars improve their chances of finding and securing funding. Both workshops target a broad audience, and faculty from all disciplines are welcome. Registration is free but required (see below). How to Write Winning Grant Proposals. This workshop provides sage advice on preparing and writing funding proposals from one of our very best researchers, Warren Burggren. Prof. Burggren has been remarkably successful in this area, with nearly $6 million in total external funding. It is also remarkable that Prof. Burggren has had funding from the National Science Foundation continuously since 1980 – an unbroken string of 38 academic years. February 16, 2:00 – 4:00 p.m., BLB 010. Please register here. Getting Started on Research and Grants. Interested in learning about identifying possible funding sources for your research and what support there is for you at UNT? Representatives from the Office of Research Services will answer all of your questions at this FacultyConnect event. March 21, 2:00 – 4:00 p.m., Physics 104 Please register here. Congratulations to Pamela Padilla, Professor of Biological Sciences and Associate Dean for Research in the College of Science for being selected for Leadership Texas for 2018! Leadership Texas is a program of the Foundation for Women’s Resources, which provides education, travel, and study opportunities to Texas women leaders seeking to improve their leadership skills and expand their knowledge of diverse issues affecting the state of Texas. 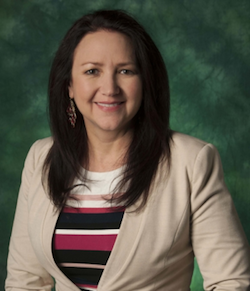 Professor Padilla joins a distinguished list of UNT faculty who are alumnae of this program. Congratulations to Luwis Mhlanga of Hospitality and Tourism Management, winner of December's giveaway! 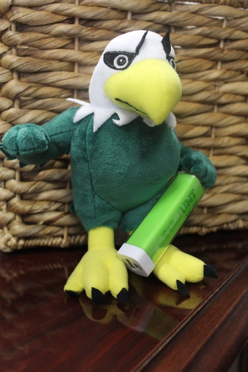 To get the new semester started on the right foot, this month’s giveaway is a UNT-themed power pack, modeled smartly by Scrappy in the picture. UNT faculty members who register by January 31 will be entered into this drawing. Please click here to register.